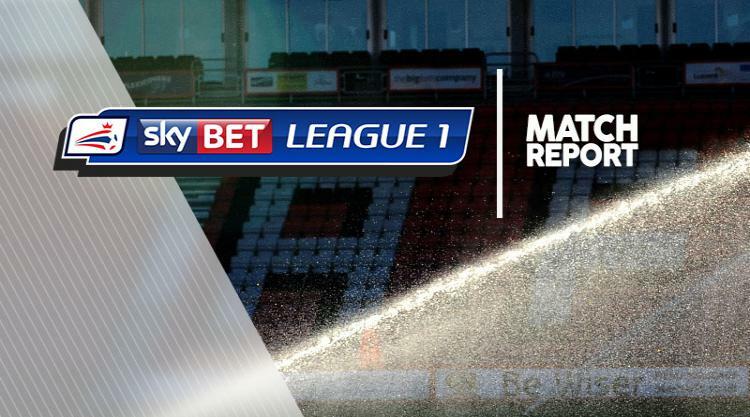 Oldham guaranteed their League One safety with a 1-0 win against rock-bottom Crewe. The Latics completed their impressive recovery under boss John Sheridan as Jonathan Forte's goal earned them a fourth straight home victory. Crewe carved out the early chances as Marcus Haber twice went close with headers and Callum Saunders forced a good save from Oldham keeper Joel Coleman. The visitors wasted a golden opportunity on 40 minutes when Saunders pounced on a mistake by Liam Kelly but failed to beat Coleman in a one-against-one. Oldham were denied in first-half stoppage time as Crewe keeper Ben Garratt blocked Curtis Main's angled volley. But they made the breakthrough after 59 minutes, with Forte controlling Tim Dieng's left-wing cross and hitting an eight-yard shot which bounced in off the post. Coleman protected the lead with a superb save from Crewe substitute Brad Inman, whose curling effort from outside the box was heading into the top corner. Inman also fired wide as already-relegated Crewe stretched their torrid run to 15 games without a win.